To many of us, cooking can be intimidating, especially if you’re new to it and just want to magically produce delicious, healthy meals. I didn’t start cooking until I got married 35 years ago, and watching my grown daughters attempt to wreak havoc to their own kitchens brings me nothing but fond memories of burned lentils, overheated oil pans and vegetable broth made of my tears (okay maybe not the last one, but you get it!). I hail from South India, a land of rice, pulses, tamarind, turmeric and cumin (my favorite, obviously). Our flavor profile includes a myriad of vegetables and dry spices that are as therapeutic as they are healthy. I was initially encouraged to start a blog to archive recipes I’ve been concocting overtime for my kids to follow- this is way easier than getting them to call me. 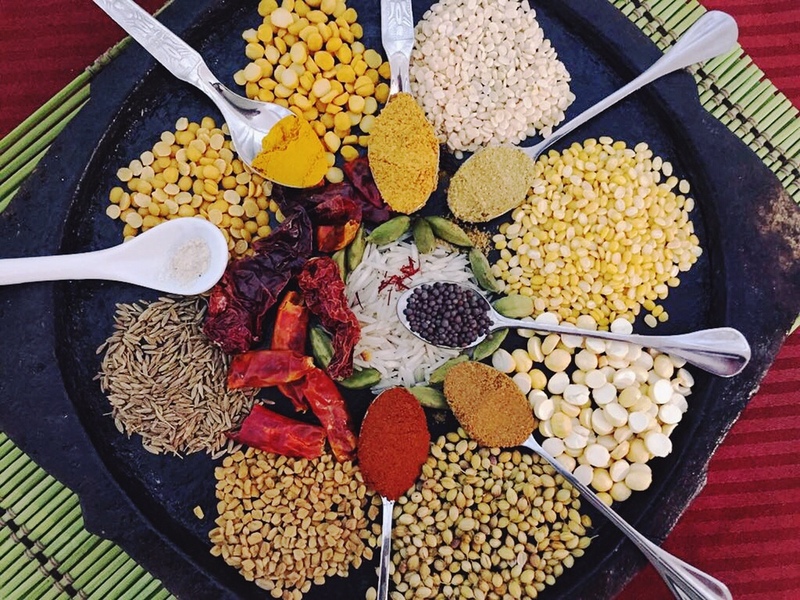 But after getting elaborate questions one day from a lovely couple at the Whole Foods spice aisle about which Indian spice to buy and the differences between them, I thought this blog might service anyone vaguely interested in the Indian diet and its many health and deliciousness benefits. In this post, I am going to talk about what the pantry of an Indian household looks like. Indian cooking recipes are notorious for a long list of ingredients, names that are quite a mouthful and cumbersome techniques. The simple truth is that once you know the basic building blocks, it is as simple as it can get. The beauty of Indian cooking is that a single item can be made in so many different ways. When I was growing up, my mom would write this big list of what she would call “maasandhra saamaan” which literally means “monthly food items”. This was basically an entire list of grocery items for the month to fully stock our pantry. All you need is listed below, with a range of health benefits that money can’t even buy. You might ask, but Kaly, you’re no doctor! No, I’m often reminded that I’m not. I also practically never see one, because this is what I eat! Check out this pantry list below with links to each product on Amazon. Each of these items has a link to where you can buy them on Amazon. For rices and dals, the brand Pride of India is my favorite. For spices, I’ve linked to Simply Organic‘s products, which you can also find at Whole Foods or your local health food store. 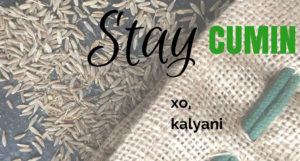 There are many brands to choose from though, so please take my suggestions with a grain of cumin and explore your options! Also, all of these products are found at your local Indian food store as well! Support them! Any products in those stores have my seal of approval. This list and a bundle of your favorite vegetables and you are ready to join me in the kitchen!